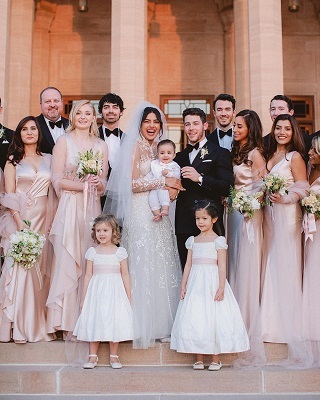 We just got our hands on some unseen pictures of Priyanka Chopra and Nick Jonas’s wedding. 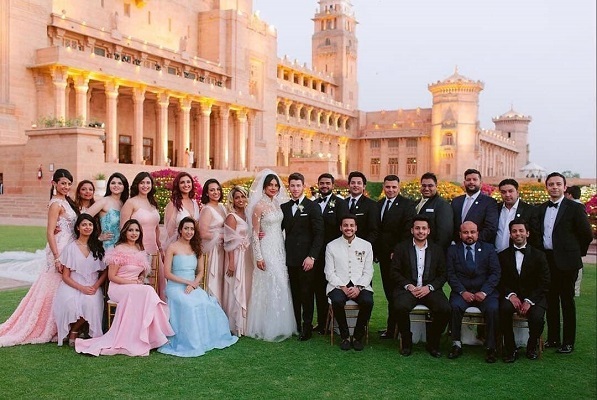 The new pictures show the newlyweds with their families and friends, having a great time together at their dreamy wedding in Jodhpur’s Umaid Bhawan Palace in early December. 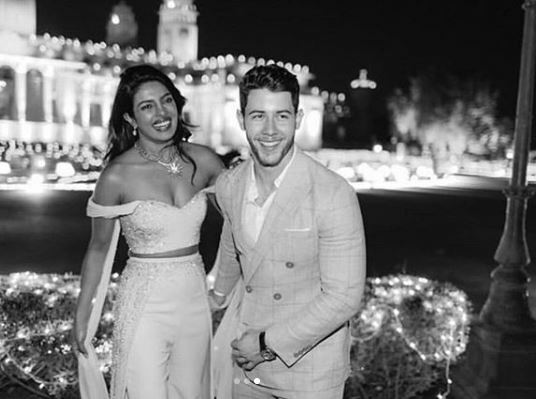 Priyanka and Nick tied the knot on December 1, 2018. 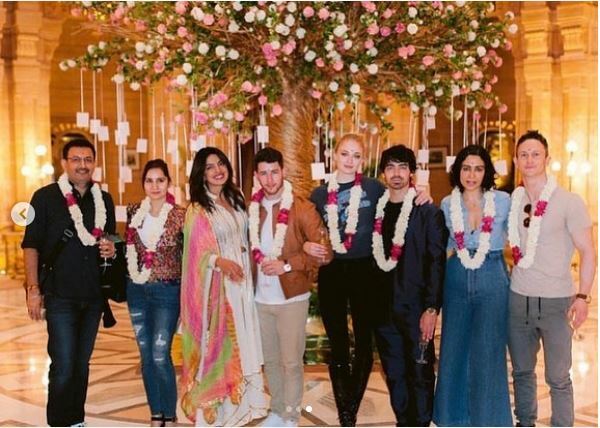 The Quantico actress then hosted their first reception in Delhi, which was attended by Prime Minister Narendra Modi, followed by two receptions on December 19 and 20, for friends, relatives and journalists and B-Town respectively in Mumbai. 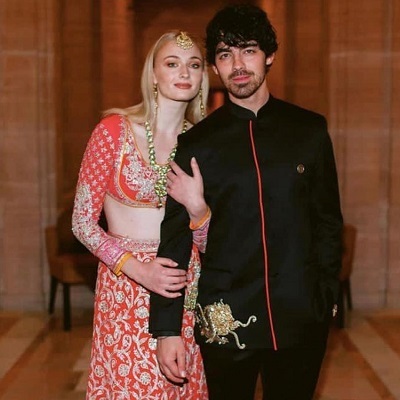 The Bollywood reception was quite a star-studded affair. 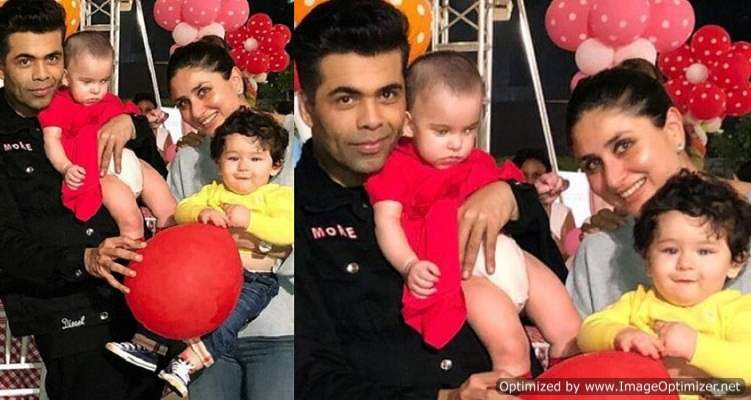 The event was attended by the celebs including Salman Khan, Deepika Padukone-Ranveer Singh, ex-boyfriend Shahid Kapoor-Mira Rajput, Harman Baweja and others. Have a look below at the new pictures. 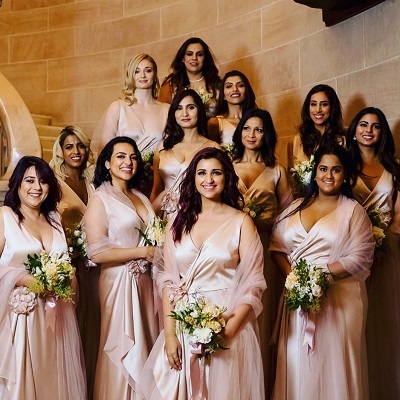 There was also a picture of all the stunning bridesmaids of Priyanka, dressed in beautiful silk outfits. 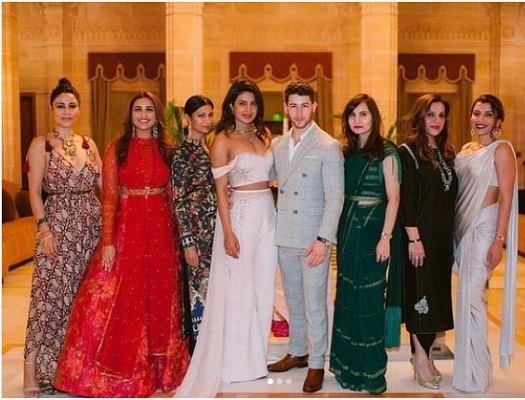 We can spot Priyanka’s cousin Parineeti Chopra, Salman Khan’s sister Arpita Khan Sharma, Mukesh Ambani’s daughter Isha and Sophie among them. 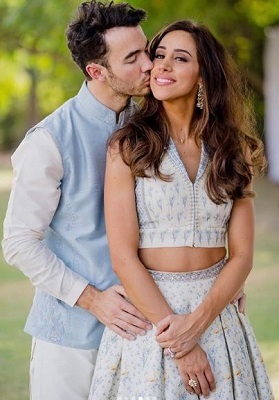 A few more pictures show Joe and Sophie and Kevin and his wife Danielle, in stunning traditional Indian outfits, striking romantic poses. The whole family, except Kevin and Danielle, are in London right now to celebrate the holiday season with Sophie and her family. 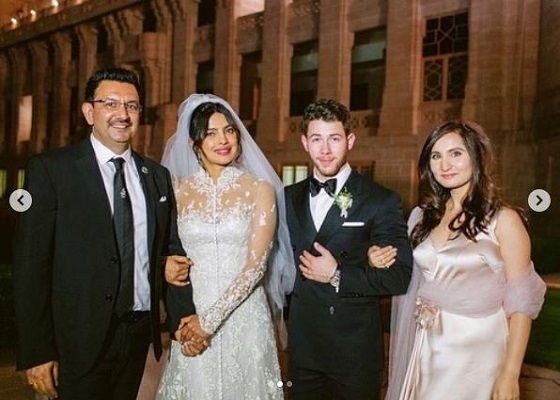 Well, Priyanka’s wedding was no less than a fairytale. 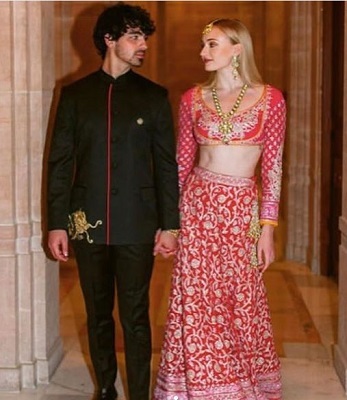 We wish the couple with all the happiness.